Nissan and NISMO have just announced a NISMO version of the streetgoing Nissan GT-R for 2014. 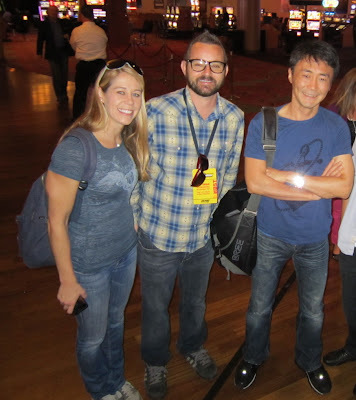 Here in the US, we are already working on "our" 2014 Nissan GT-R, which is the 2013 worldwide car. Got it? 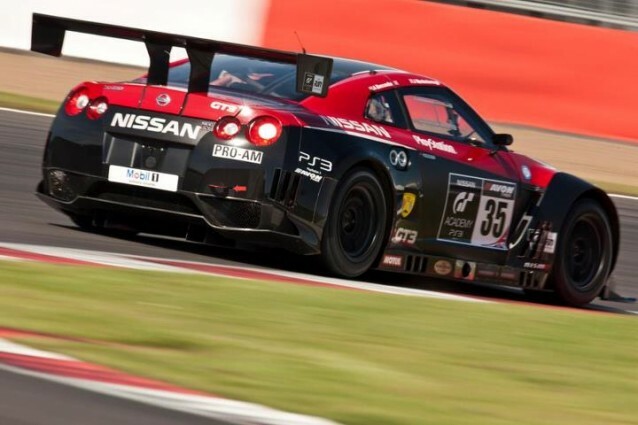 The above picture is a GT3 version of a Nissan GT-R built by Nismo in conjunction with JRM from the UK. In this case the car is rear wheel drive and VR38DETT powered for GT3. We see wider front fenders,lots more splitter, canards, and openings in the front of the car, rear over fenders, side exit exhaust, rear inlets which may be for brake/transmission cooling, a large wing, and the various other bits and pieces that make up a race car. I have talked to several Nissan GT-R owners on and offline, and I will run some speculation on what they might want to see, and what we might expect to see in the 2015 Nismo Nissan GT-R. I think that the NISMO version will be built off the yet unreleased in the US Track Edition. There are only going to be 150 of the Track Edition sold in the US(2014), so a NISMO built off what is already there for the NISMO(2015) is a pretty likely scenario. Any possibility that the street car is going to be rear wheel drive to drop weight like the GT3 racecar version? 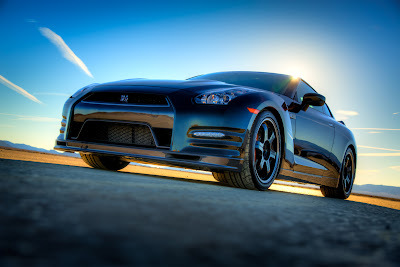 Its a possibility, but it does get away from a lot of what the Nissan GT-R has been, an all weather supercar. Porsche has a GT2, which is their rear wheel drive beast. Rear wheel drive with ~600 turbocharged horsepower makes the car a bit more tricky to drive, so that is unlikely. Nissan and NISMO have a few versions of the R35 GT-R to draw from for some inspiration. In Japan, Nissan has sold the SpecV, the Egoist, the Club Sport, Club Track, the Track Pack, the Pure, the Black Edition, the Premium, the RC Super Taikyu version, GT1, and GT3 versions. The Super Taikyu R35 GT-R got some big brake upgrades, from what was a 380 mm front/rear rotor, to a 420 mm front rotor as seen above. In addition to the huge rotors, they also got functional carbon fiber, and brake hose ducting to cool the brakes. 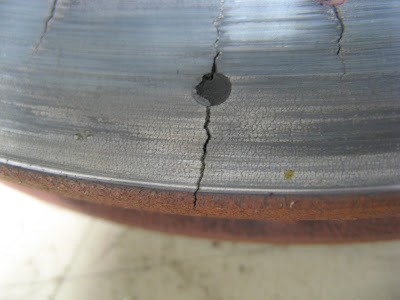 Something as large as a 420 mm rotor would limit you to 20 inch wheels, with the current 390 mm rotors on the 2012 up cars, they are about at the limit of what will fit under an 18 inch wheel, a favorite of track guys. Since 2007 when the Nissan GT-R was released, there are a lot more 20 inch wheel and tire combinations available, so a larger brake package for the 2015 Nismo Nissan GT-R wouldn't kill some of the track guys. The SpecV ran a carbon ceramic brake package from Brembo, but it was about 50k in parts to do the 390mm carbon ceramic brakes. I never got a chance to see the Brembo CCM, but the AP Racing CCM brake rotors, were 38 lbs lighter as a set than the OEM 380 mm brake rotors. 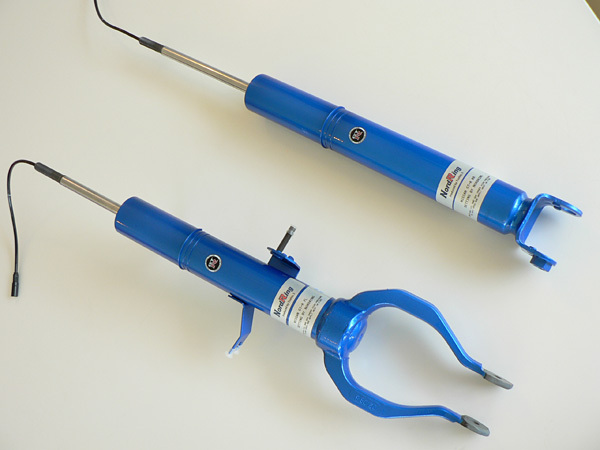 At retail prices of ~$17k, they are not an inexpensive option, but do lose rotating unsprung mass. The Brembo carbon ceramics are currently an option in Japan.With the brakes, wheels, seats, and rear seat delete the SpecV lost 132 lbs. Even if the brake ducting, isn't the fully monty as the Super Taikyu race car as above, expect the front air ducts, and some diffusers/deflectors to cool the brakes. There are a lot of things that NISMO can do to the chassis to increase performance, and possibly lose weight. 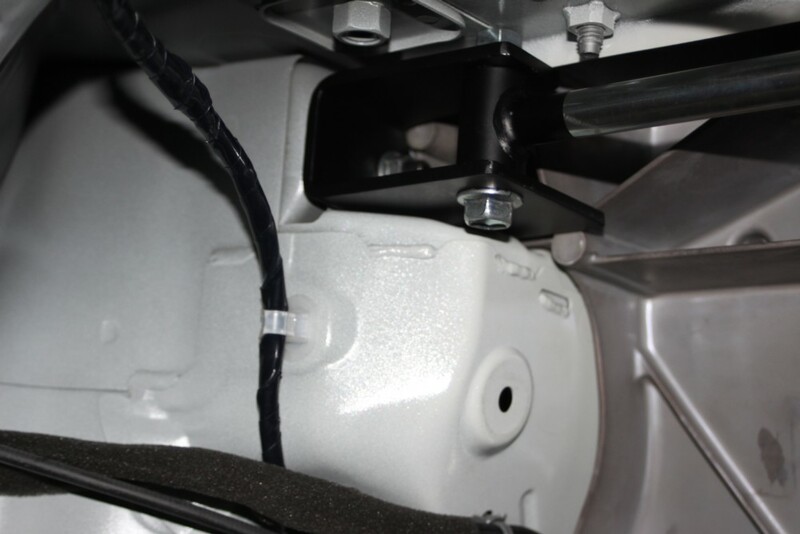 The GT-R already has several structures built from cast aluminum so a few more are possible. They may add or take away sound deadening. There are also other ways of increasing chassis rigidity with additional bracing, or additional spot welding to stiffen the chassis. 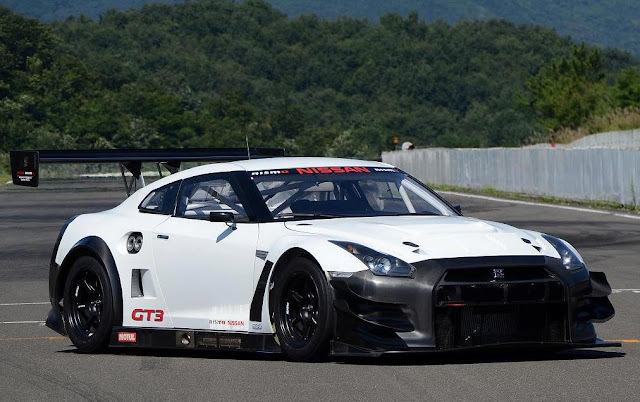 The R35 chassis is used in Super GT, and GT3 racing, so NISMO knows what it takes to keep the chassis stiff. Wings, canards, sideskirts, and carbon oh my. So far we have had a carbon fiber diffuser under the rear of the car since 2009. The Black Edition in 2013 got a dry carbon fiber wing element. What might we see on a 2015 NISMO Edition R35 GT-R? There have been a few cars going around the Nurburgring with a carbon fiber trunk,hood, and roof. So those are a couple of possibilities. The Black Edition in the US has a unique wheel, what is close to the "NISMO" wheel on the race cars. The Clubsport had a different color, the SpecV sported the same wheel, so its a chance we will see a new wheel. As far as tires are concerned, the Dunlop runflats are fast, but they are heavy. Going to a non-runflat could save ~10 lbs a corner. Something that a lot of people have an opinion about. Anywhere they touch. The GT-R is not a hyper expensive supercar, but its inching its way up in price. What can we expect in a Nismo? The SpecV, and NISMO Clubsport had some $20k optional carbon fiber seats, that are beautiful, but they are 20k. Nissan released the Red Amber interior for the Premium Nissan GT-R's in the US in 2014 as a $4000 option. In Japan they had the fully customizable Egoist. Somewhere between the two, more on a sporty feel, is where I expect to see the NISMO. One owner asked about full datalogging. It actually already exists in Japan. 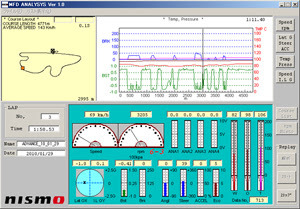 NISMO has been selling a lap timer, and software for the GT-R since 2010. The MFD in the GT-R was designed by Polyphony Digital, the makers of GT5, so there could be some cool interactions if they were allowed. Not all the tracks in the world are digitized, but there are a lot of them, and a full simulation doesn't need to be the only way that data could be replayed. It would be pretty cool though, watch yourself, virtually though your Playstation 3. With some high rate GPS sensors, and maybe even front and rear camera integration, could be a really cool tool. The NISMO information so far has said to expect about a 10% bump in power. For 2014 the US model Nissan GT-R make 545 horsepower. Its not unheard of for tuners to make 600 wheel horsepower out of a Nissan GT-R, so making 600 at the engine shouldn't be too difficult. The SpecV had larger turbos, that are still sitting on a shelf somewhere. There is a question I used to see every now and then, "I want my GT-R to sound like a Ferrari 458, or some other random supercar." With a V-6 twin turbo you are going to get sounds, but not quiet as sweet a sound as say an inline 6, 12 cylinder, or a high winding V-8. 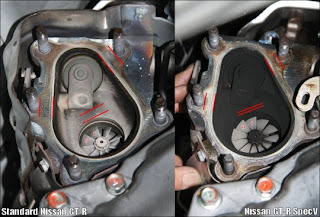 The turbos muffle some of the sound, and in the case of the R35 there are two cats in each downpipe, a resonator, and a big muffler in the exhaust side. Most people describe it as quiet. Somewhere between quiet and ear bleed is where most enthusiasts want to sit. Nismo had had a Titanium exhaust available, but its a $20k option at current exchange rates. The video below has a group of about 40 Nissan GT-R's with all kinds of exhausts on them. 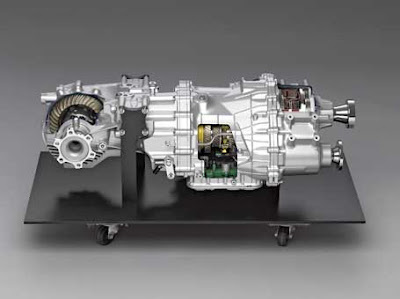 The GR6 transmission got a pretty bad rep when the Nissan GT-R was first released. However since 2008, there have been a lot of minor improvements, and when treated right they are capable of handing pretty big power. Some people have asked for another gear in the transmission, and its always a possibility. From the GR6 to the GR7. So those are some of the possibilities of what we might expect out of a NISMO version of the R35 GT-R. 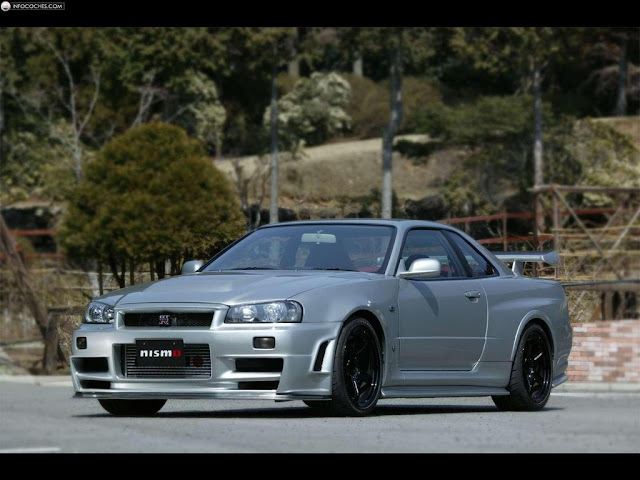 Check out the Nismo versions of the R32, R33, and R34 GT-R below. NISMO Z-Tune R34 GT-R. One of 20 cars.